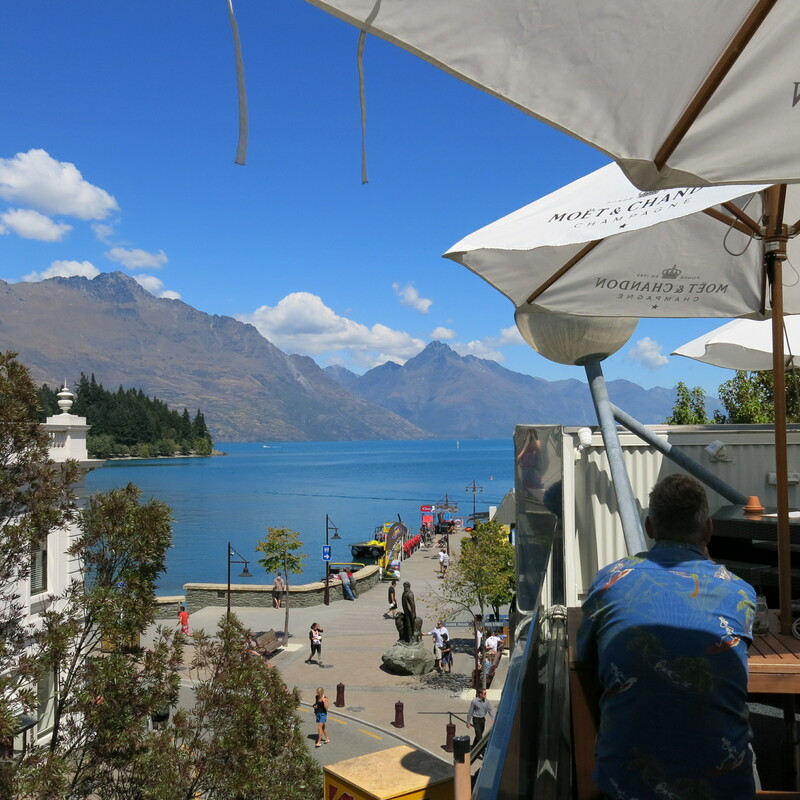 Lazy Day in Queenstown | So Many Exciting and Beautiful Places! I do believe that if I were not doing this blog, I’d have absolutely no idea what day or date it is. Nothing was scheduled for today, so we slept in a bit, then took the local bus to town. We wandered around downtown, did some shopping, and stopped at a rooftop bar for libations. There was a craft fair in the town square, with some very nice glass and woolen items, among other things. 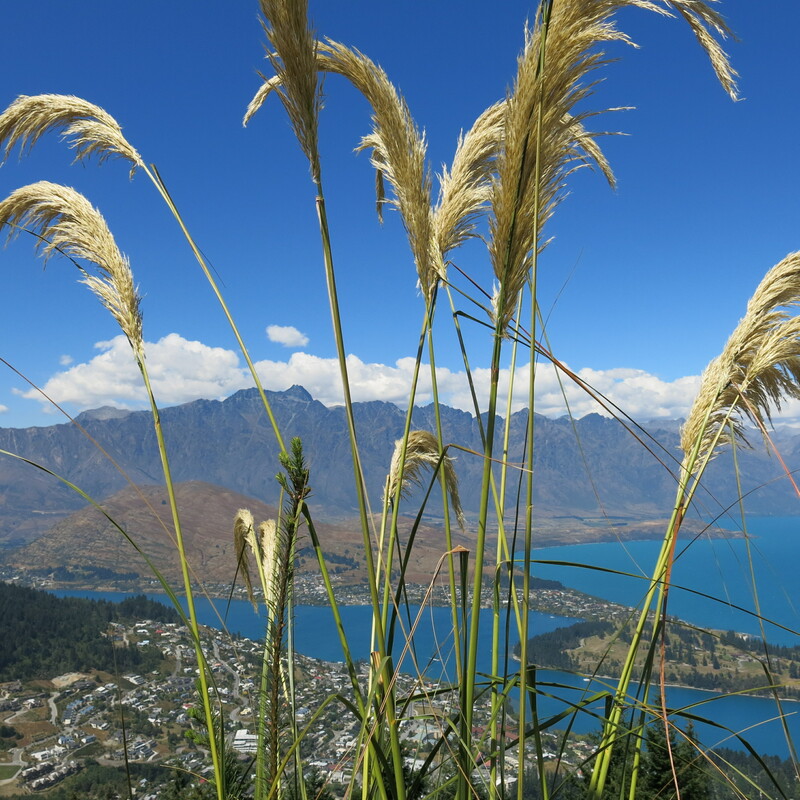 Queenstown is a fairly typical tourist town, with lots of souvenir shops and activity offerings. Their busiest time is January. 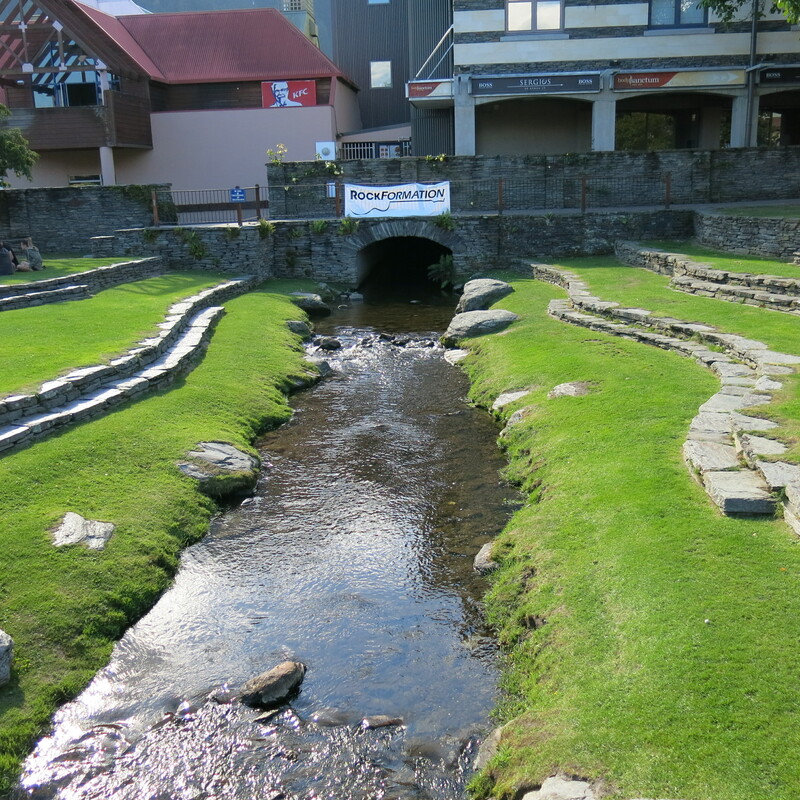 In the summer, there are many activities offered, including tours of the various Lord of the Ring filming sites (by airplane, helicopter or jeep.) In the winter, they fill up with skiers. There are many woolen shops with beautiful sweaters, hats, scarves, etc. I do wish I could wear wool, but even the softest ones make me itch, so I’m leaving the home of the Merino sheep without anything wool for myself. 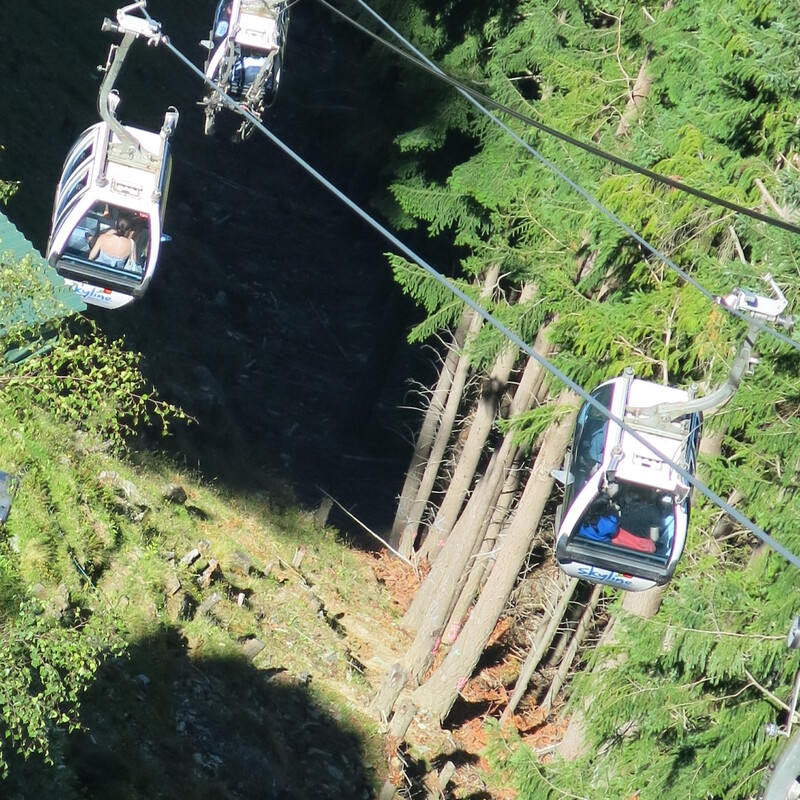 The city has a gondola that takes people to the top of the nearest hill, about 2,500 feet in height. The ride gives some great views of the city and the mountain, which appears to be a very large and steep rock. Lodge pole pines grow quite tall – we estimated some to be between 150-200 feet tall. After getting to the top, there are several options. 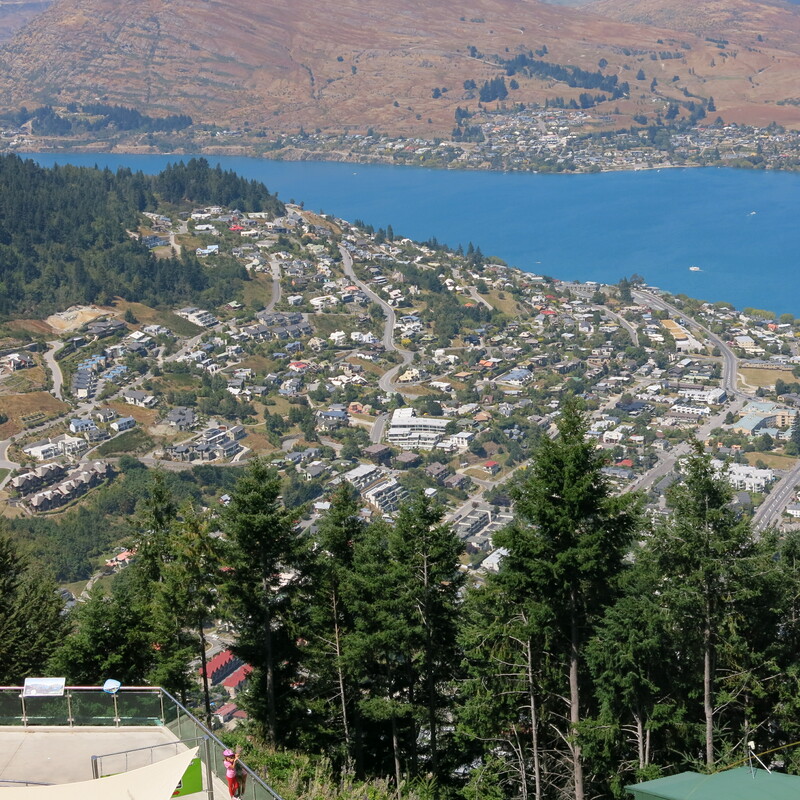 You can paraglide, bungee jump, take a luge ride (more like go carts), hike or bike, and even have lunch or dinner. The views of the city were awesome as it was a clear day. We could even see our hotel from there. 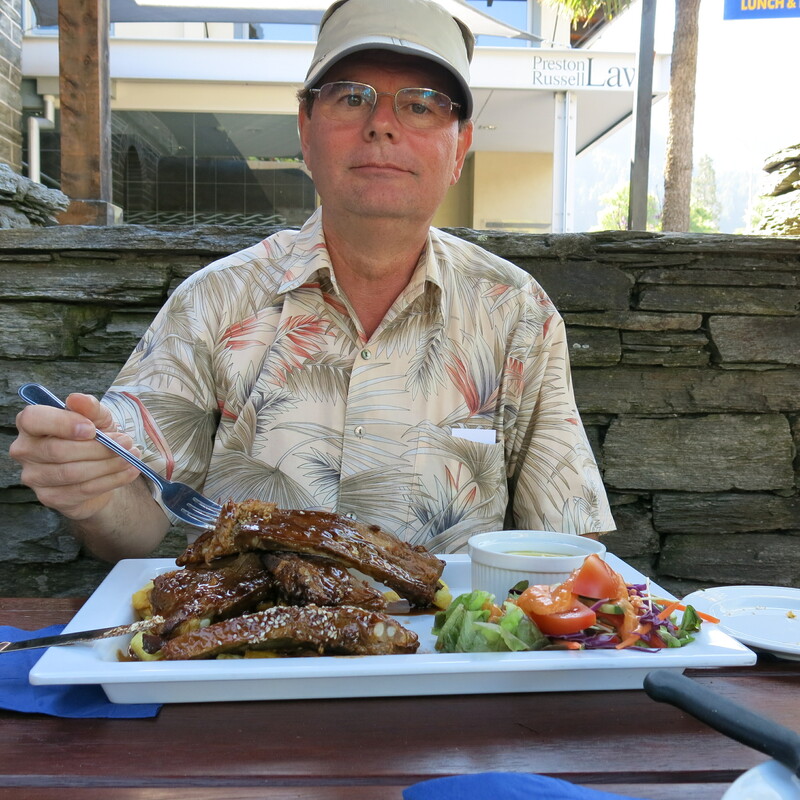 We had dinner at an English style pub in town, where Mark had the largest ribs I’ve ever seen. 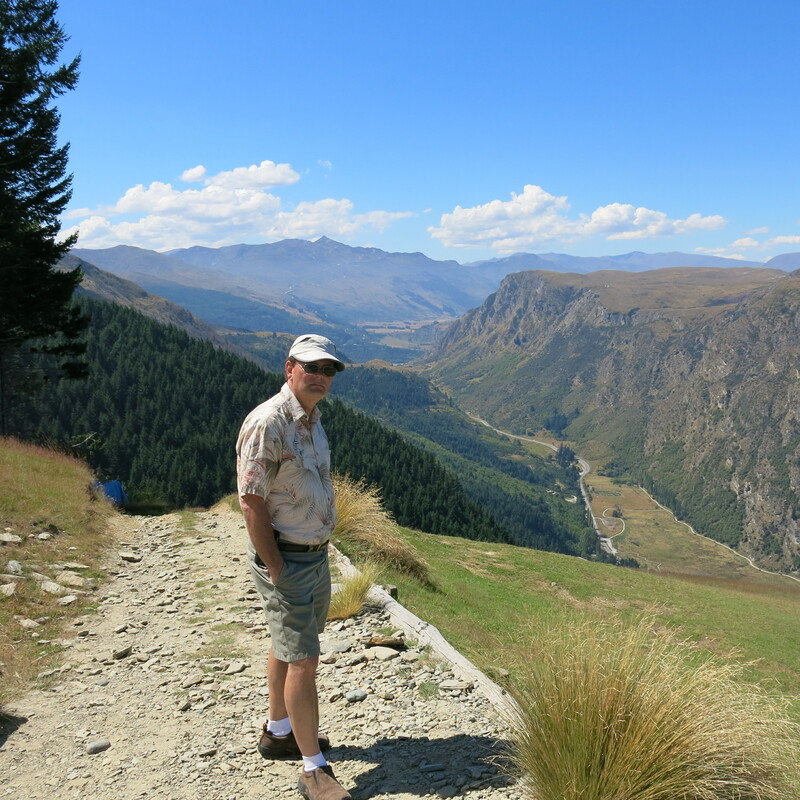 It’ll be hard to leave New Zealand, but tomorrow we head to Australia. Large ribs to help hold his big gun.